We are about half way through Spring here in Australia and with the weather finally warming up a bit in Victoria, I thought I would share some of my favourite Spring Fashion trends for 2014. 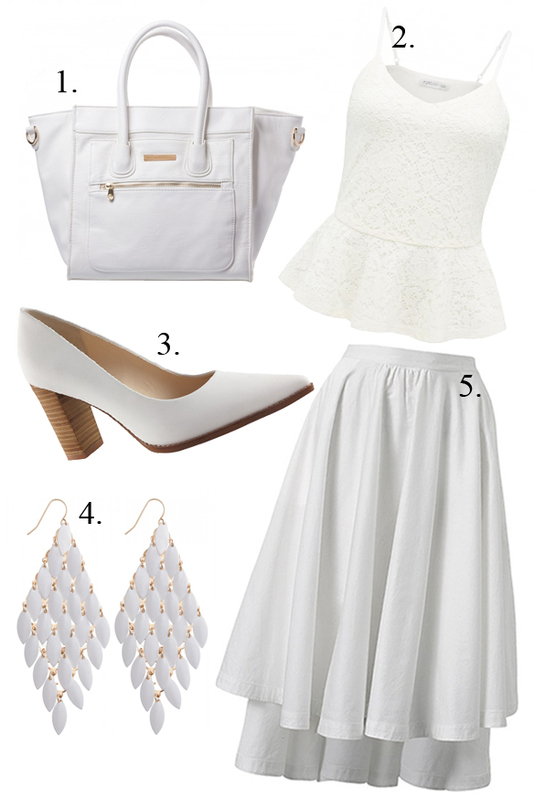 White was one of the main trends during Winter/Autumn this year and I am happy to see that it’s sticking around for Spring/Summer once again (it was also a trend in Spring/Summer 2013). White worn close to your face is flattering on anyone and because it reflects the light/heat, it’s much cooler on warmer days too. Below are some of my new season picks for the ‘White’ trend. 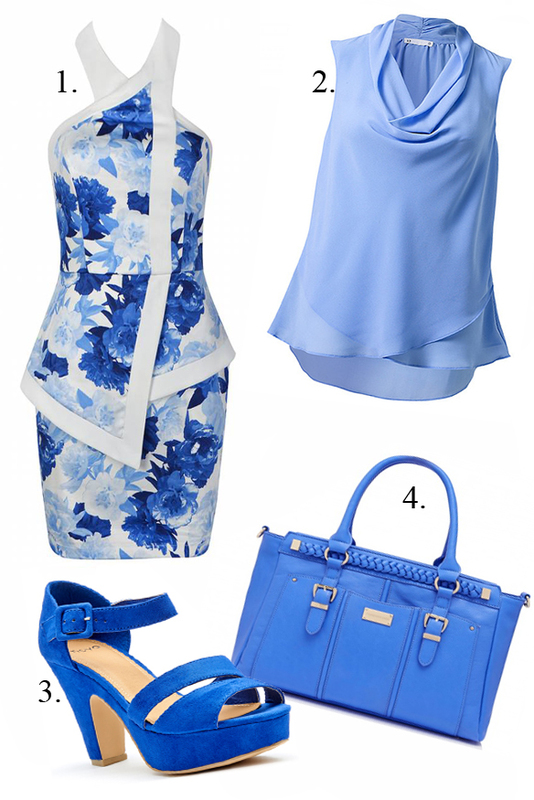 Many shades of blue are popping up for spring 2014: Navy, china blue and cornflower blue are just a few of them. We all know what Navy blue looks like, but in case you didn’t know… I would describe China blue as being a mid-toned powder-blue and cornflower blue is a medium-to-light blue, also the colour of the petals on cornflower blooms. Check out some of my favourite pieces below. Anything that has a floral print is a bit of a no-brainer for Spring. From vintage florals in delicate hues to large bright and bold statement prints. 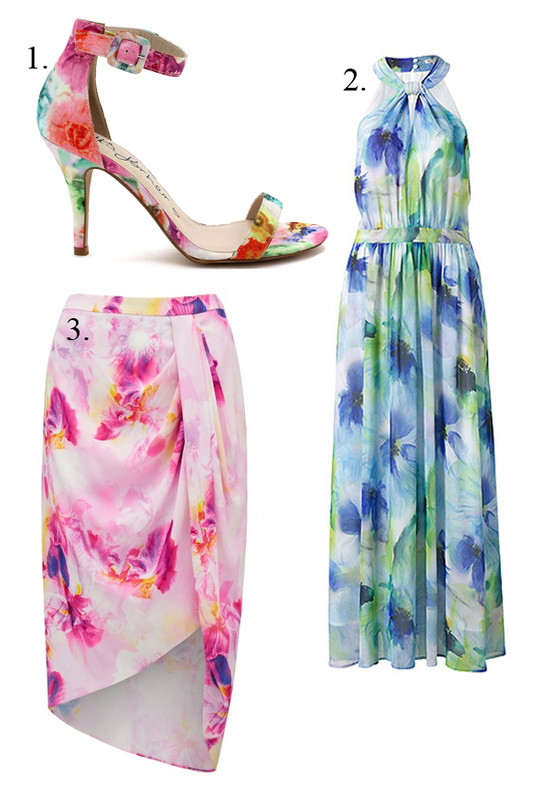 Have a go at mixing different prints, perhaps a top with a small print paired with a larger graphic print skirt. 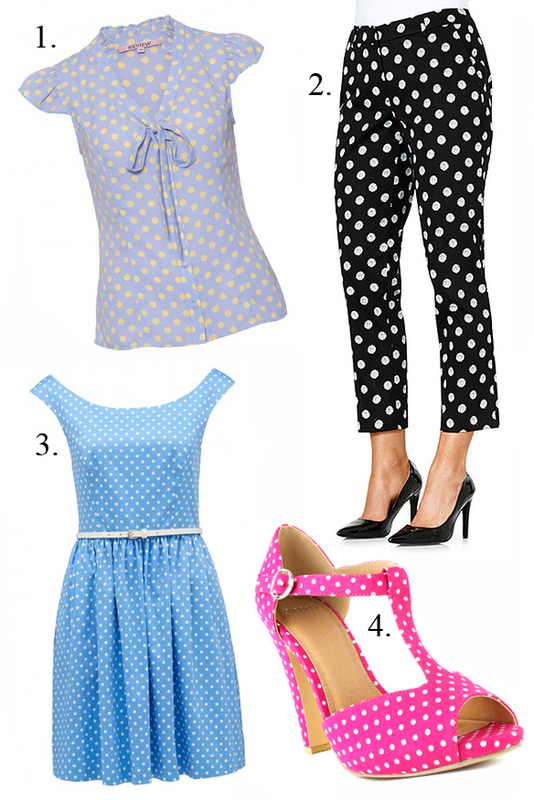 I have always loved a good polka dot print and I actually own a lot of dotty clothing. What is great about this trend, is that there are many different prints/ways to wear dotty print clothing: Large spots, small spots, monochrome and even mixing them with stripes! What trends are you loving this Spring?